﻿ DINNER 5 WAYS: FAST, EASY, FUN! You are a full time, working Mom, with 2 children, a dog, and a pile of laundry that challenges Mt Everest! I know that routine all too well. Throw in picky eaters with homework to oversee and a PTO meeting to attend, and you’ll soon find yourself curled up in tears amongst that pile of laundry! Seriously? It can drive a person of solid mind to insanity. Let’s just take dinner stress off the proverbial (dinner plate!) with my solution to fast dinners for picky eaters! 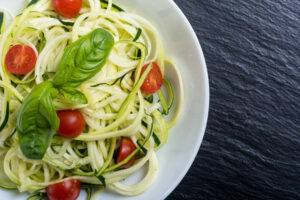 It’s Dinner Five Ways to provide healthful meals that your family will love. And, you’ll appreciate that the meals are are easy on the budget, short on prep time, and picky eater approved. What’s not to love about that? DINNER NUMBER ONE: MAKE YOUR OWN! Picky eaters fear no more! I discovered this fast, fun, and easy idea when entertaining. Let’s face it, with foodsensitivities, specific diets and preferences, it’s easier to provide the freedom and power for each eater to create his own masterpiece. And, it allows you to keep healthy offerings intact. When eaters are exposed to and empowered to make healthy choices, you tip the scales that they are willing to try healthy options, especially after multiple exposures. You provide the pieces of the dinner, and they put it together. 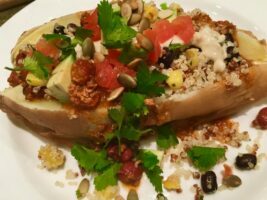 Buddha Bowls –Make a Mexican, Italian, or Asian buddha bowl with Aidell’s organic (pre-cooked and seasoned meats) and Path of Life frozen grains. Try teriyaki meatballs, warmed brown rice, greens, pineapple chunks, organic edamame, tamari or sriracha sauce, and chopped almonds. Pizzas/Grilled Pizza – Create a grilled pizza bar with your favorite, healthy toppings. Use a store bought, whole wheat crust or whole grain flat bread with sauce, organic meats, sautéed mushrooms, chopped spinach and veggies, and a slight sprinkle of organic cheese with pinenuts. There’s really no limit to Make Your Own Meal. Get your kids chopping and prepping the toppings, and you’ll increase their chances of eating some of the healthier options by transferring meal ownership from start to end!….Of course, you buy yourself more time to pay bills, workout, or to complete the laundry list of jobs in the queue. Who doesn’t love that? This is the latest rage! 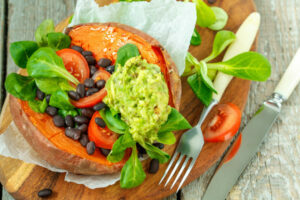 You can cook a countless number of meals with a variety of flavors in 20-30 minutes flat, without a lot of prep or cleanup by chopping your favorite vegetables (think hearty vegetables such as onions, sweet potatoes, Brussels sprouts, and cauliflower) into cubes or pieces that are roughly the same size, then toss them with your favorite oil (coconut, avocado, or olive oil are amazing), fragrant herbs and spices and throw them on a baking sheet. Add a few frozen chicken breasts or pieces of fish to a second sheet and put it in the oven too. 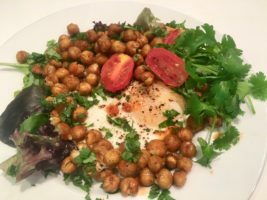 The sheetpan approach can even be used with simple ingredients such as beans or Chickpeas and eggs! How simple is that? And all the pieces of your dinner should be ready at the same time. Plus, you can use the time while everything is roasting in order to set the table or catch up on the day’s events with your family. It’s a hands-off meal approach that’s perfect for this time of year. Once it’s done, you put it on a platter for passing and each person gets to pick their own offerings. The number of recipes for crock pot, the slow cooking method and instapot, the speedy cook approach, are growing rapidly across the internet…and for good reason too! What’s not to like about throwing inexpensive, bulk ingredients (think beans) into a pot and having dinner ready to go! There are great variations for both the crock or instapot, including vegan and carniverous options. Please keep in mind that vegetables will not cook in the crockpot at the same speed as soft vegetables, so you’ll want to hold out on these softer, fast cook foods until 45 minutes before serving. That’s the perfect time to pay a few bills or go for a run! Want to try a week of Plant-based Instapot meals? Grab my Meal plan and get cooking! Want to try one of my favorite crock pot recipes? Check out Crock Pot Fajita Soup. The weekends are perfect to meal prep for using leftovers for foods you have already cooked but are using for the second time around. It’s the perfect setup: purposeful leftovers! 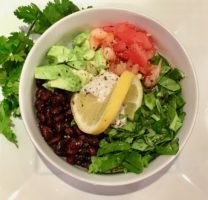 You can make a double batch of beans or whole grains, such as brown rice, bulgur wheat, or black beans and freeze the other half for a faster meal when you need it, or you can make versatile key ingredients and use them in new ways later. Roasting a pastured, organic chicken or two on the weekends really helps facilitate meal flexibility too. 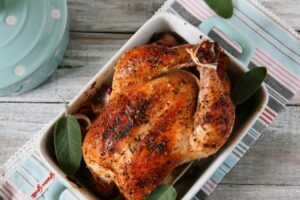 For example, you could roast 2 chickens instead of one and use the second in your Make Your Own Meal creations for salads, burritos, chicken and rice, or even for your potato bar! ← WHEY VERSUS PLANT-BASED PROTEIN…THE HIDDEN RISKS!